The gem of Hoffman Haus, this German homestead dates to 1871. This fabulous stone house offers two en-suite bedrooms, the Basse Suite and the Burrier Suite. The two are separated by an enclosed dogtrot and share a full kitchen. The Basse Suite features an antique mahogany four poster bed set in front of a painted theatre backdrop dating to the mid-nineteenth century. The attached bathroom sports a large jacuzzi tub, separate rock and tile walk-in shower and stone fireplace with candles. A lovingly restored Sunday House, this accommodation dates to 1905. Tucked away in the corner of the property, Weber House has a small garden and a windmill. 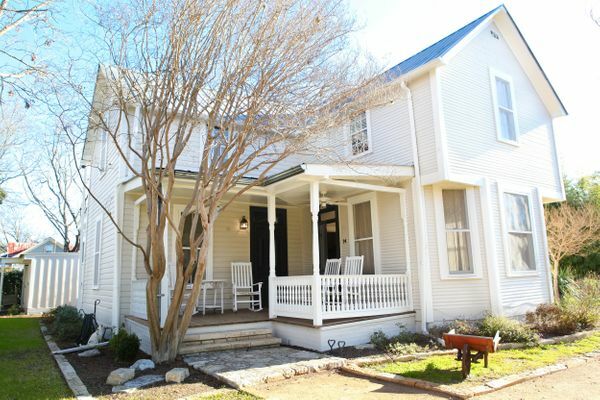 The covered front porch has rocking chairs and is very private. The house’s decor is clean and simple, airy and light. 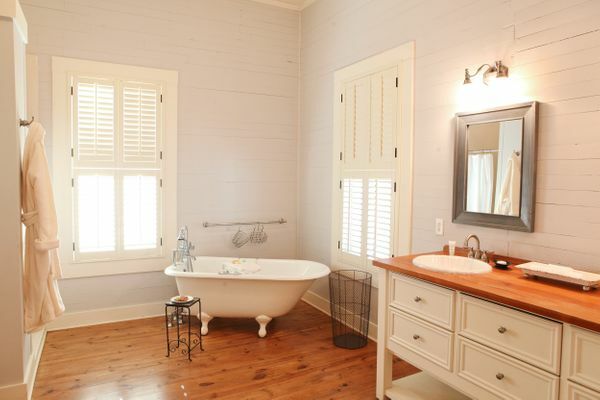 The large bedroom leads to a bathroom with a soaking tub and a walk-in shower. There is a living room, dining area and full kitchen with an oven and stove. A screened-in back porch is a perfect place to enjoy breakfast. The house has private parking. $245 to $295 a night. Sleeps 2. 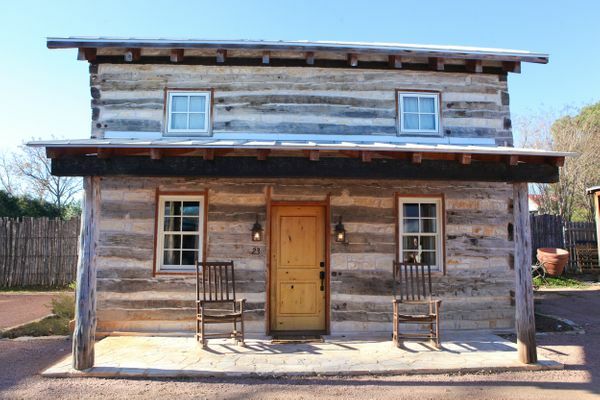 This rustic two story house is made up of timbers from three separate log cabins. The downstairs has a generous, rustic living area with a comfortable sofa and armchair, and a large kitchenette. 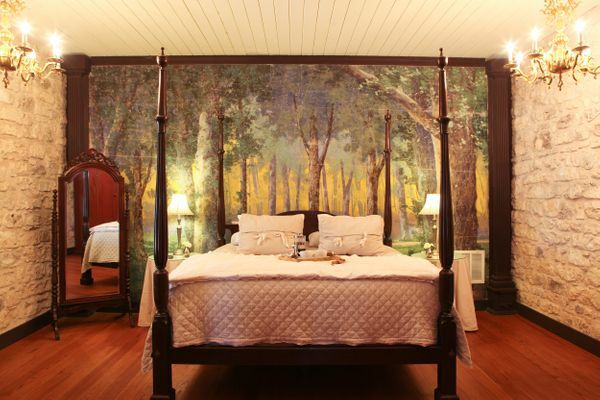 Upstairs, the bedroom has a king size bed while the bathroom has a walk-in shower and two sinks. The house has private parking. $225 to $275 a night. Sleeps 2.